Yes, we can't control what happens to us- but we can control what happens WITHIN us.... I repeat this to myself daily! Thanks for the post Launna. That last line is very powerful. I do believe that everyone deserves happiness. God didn't put us on this earth to be miserable, this I am certain of. But in your last line I am sure that for the things we go through it is His hope for us that we come to him in prayer and not just try to get by and get through it without Him. I'm so sorry for what happened to you, bus as you said it enables you to be stonger and to be an amazing and really inspiring person Launna. 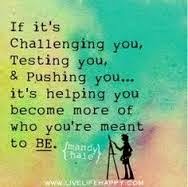 Everytime I have a deal a "challenge" I always think of you, your posts and words to be motivated. 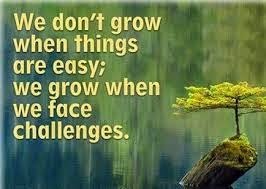 And you're totally true, "growth comes from 'how' we handle the challenges we are given... and not just by getting through them... " will keep this in mind as well! I love your last sentence Launna, you always are so honest and an ispiring person, and I know you are very strong too!!!! I Wish you all the best My dear friend!!!! Ciao Launna, sono felice di venirti a trovare e a leggere!!! Sei sempre bravissima, i love your post!!! Beautiful! Okay you just freaked me out because that has been my lesson all this week too is forgiveness of others. In fact, I am working on a blog post about it. Hi my lovely Luanna:)! How have you been up too this weekend? I am hanging in there and working my way hard to feel better quick:). You're such a faithful woman Launna and I belives so forgiveness is best for us human:) to do. to free ourself by let thing go from our shoulders. I'm an easy and light person so I know exactly how you feels. I'm glad you're into this lever that not everyone could do what you doing now. It's so good and I am so proud to get to know such a kind person as you are on erath. Thank you so much for checking on me Luanna. You know, I have no energy to visit people for now!! I'm glad you staying in touch with me and that its make it easy for me to just click your link and bring me here to read your beautiful post! Hi Launna, I just landed here from Sangay Duba's blog and I just regret why I didn't discover your blog earlier. Your posts r fascinating and interesting. Yes, forgiveness is the hardest thing one can do especially being unenlightened souls. I am also trying to forgive my uncle and aunt for all the humiliation and torture I was subjected when I was compelled to live with them for a decade after my mother died and my father got paralyzed..... We r in a normal relationship today but deep inside my heart, I still have some dislike for them. I m trying to forgive them though. Your post is inspirational. Keep up the good work please. Great piece, Launna as always. Too many things to ponder! I always believe it is easy to forgive than forget. Even if we try harder, forgetting many unhappy and miserable incidents in your past life is not that easy. I know!! But I guess, I would forgive them because I want to move on from there and from that relationship- that hurts me even now! I would forgive because I want to be a better and happy person for myself- if not for anybody. I would forgive because I have left my awful past way behind me and want to make a better and respectful future for myself! I love how honestly you pour your soul on your writing which is infact very difficult. When I get stressed or dont know what to do, I have the tendency to get angry or feel negative thoughts towards them, but I guess being patience and not letting the negative thoughts affect your actions makes you the person you are <3 have a blessed day! I agree, everyone deserves happiness and no one deserves more or less than someone else because of the things they went through or did. Beautifully said. It is interesting how we do perceive each other. How we thought we knew them, when you find out from someone else ..about their insecurities and how they'd rather be alone than even face a crowd of one. It is never easy, to especially be in a family like that. And sometimes, we even forget to even look for opportunities to grow. Especially, with them. Forgiveness takes a lot of time and determination. I know. I find it hard to forgive too, especially if the wound is too deep so to speak. But keep on going, keep on forgiving every day. It's like a compound interest. Just keep on putting in forgiveness every day and someday soon you'll finally forgive fully.
. I am sorry that you had to deal with hardships given by your step mother who is now an EX. Too bad for her,because if she was nice with you she would have come to know what a wonderful person you are. Terrific on the inside and outside. ( I really like you in your black outfit). It is also very grand of you to have forgiven her as well. Takes a lot but you did it. It will shine your personality even more. Forgiveness is something I really had to learn over the years. I tell you something now I really never tell anybody. Till the age of 13 I was a really fat kid...I felt comftable with me but unfortunately I was teased by all of my classmates. I never totally understood why they were judging me on the base of my body weight. Now, after all these years these people come to me and act like we are good old friends. First i really went mad all the time I met one of them, but now I really started to forgive them. These people are somehow sad with their lives. We should forgive those people. Somehow its always good to see the true face of each person. It must have been a horrible time for you as a kid with your step mom. I mean as a young kid it must have been a sad person to treat you like that. Two weeks ago I found out that one of my freinds was talking quite bad about me behind my back. I gave her the chance to explain what her problem is, but she only tried to blame others (not knowing that others showed me whats app massages). I decided to forgive her and told her that its ok but I wont to have her in my live ever again. Its good that you learned that lesson as well. To look back in anger really wont help us to grow or to go further! The future is ours and each moment only makes us stronger!! An inspiring post and so true. You are right Launna, tough times of my life really made me tougher and helped me grow and understand life. And I must say you are really strong enough to forgive, it was also necessary to move on. I too forgive people but it hurts when they hurt me again. Great words of wisdom here dear Launna. Forgiveness is always the way to go. Hope you ahd a great weekend. Wise words, Launna. We may not be able to control events or other people, but we always have control over how we choose to react to those events and people. We can make a conscious decision to face each day with a growl or a smile. These are some of the best words about forgiveness that I've ever read. You summed up exactly what I have been thinking about a friend. I haven't seen her in over three years, but we had a very long relationship prior to that, and I still don't think I've really forgiven her. Thanks so much for making me think about forgiving her. Ciao Launna, Have a great start of the week! You're always so wise. I really ejoyed this post because you make me think about a lot of things about me and my choose. perfect inspiration! Let's follow each other on G+ and GFC? Or also in other social media if you want? Forgiveness is rather like friendship in that one has to work at it for it to thrive. It does not take place in an instant and at times there are setbacks but one must strive to attain the goal of forgiving or befriending that one is aiming for. Since, as you so wisely say, not to forgive is to die a little inside oneself. Perhaps it helps too to write down these thoughts and fears. Verbalising them often makes things more bearable or, at least, defined. So, you have reached another milestone and, we are certain, have helped others as well as yourself in the process. Dear Launna, you are so good that can forgive people that have hurt you so much. I wish I was like you. I hope you have a busy yet great week. I'm really sorry for what you had to go through Launna, on the other hand it sounds like this has made you a stronger and wiser person. When it comes to forgiveness I find it very hard, I do believe that you shouldn't hold a grudge against someone personally, but instead dislike their actions, but it isn't always easy to remember. Hopefully I'm able to do the same as you soon. Thank you for the post! I'm so sorry for you, poor Luanna, and what you passed when you were young, but i really admire you for how you faced this situation and how you came out! It definitely made you grow faster, but made you even wiser! Forgiveness is not so easy as one can think, you have to learn it with time... I'm still not into this, but I'm pretty good on leave on things and people negative for me; it's not forgiveness, it's just that i don't care about cause I prefer to invest my time in things that make me happy instad. Hope one day I'll be wise as you are! True, we need strength to pass over any obstacles, even we know, it is easier then doing. Hi gorgeous! First of all, bravo! This post is very inspiring, it made me think a lot. We have to strong, forgive and let things go in order to grow and live a happy life. Beautiful words Laura. dando que se recebe um dia maravilhoso para você e DEUS seja contigo. Tienes una gran fuerza, tu escrito inspira. What a horrible thing to have to go through / person to live with while growing up! It is so true that sometimes holding grudges or hating someone only hurts us and not them! Thanks for sharing this. I really respect posts like this and appreciate your openness. I can see how kind you are. Even after what you went through you still realised it was because she may have been so unhappy with herself and you still always reach out to others. Forgiveness is so incredibly hard, I am still not really able to deal with it. I have a hard time getting my head around it; realising that it’s not actually saying what another person did was ok. But the pain of not forgiving is indescribable. You have gone through more than most -- and each day you get stronger and happier for it. You really do appreciate the things you have, something not everyone does! MANY years later and I have still not forgiven my mother and I don't know that I ever will but I have come to accept it and her and I've learned just not to dwell on it. Occasionally Jenna will start talking about her and when the first tear starts to break through I politely ask her to change the subject! Hope you have a wonderful week! Holding on to anger hurts us more than the person we are angry with. Being able to forgive someone else puts you back in charge of your life instead of letting your anger at them control you. This is a well-written post, Launna. There is a lot of wisdom here. I am so so happy that you've ALSO finally forgiven that new “her”. You know probably she herself is miserable, and that is why she makes other around her miserable. And let this be a lesson to her. From now on, we all know who the bigger person is. And it's you. So her case is over from now on! *hi5*. How has work been for you, Launna? What have you decided as your next step now? that's a great way to look at it. I keep telling myself that there is something to learn from everything. and it's true. sometimes it takes a while to figure out what I was supposed to learn. and sometimes I'm fed up with bad things happening and just want a break and don't care about learning. but that's life. it's a constant up and down. we feel the downs more acutely, but thankfully remember the ups more clearly. It's not easy at all to forgive, you know, but praying every day and letting the other person go his/her way is the best present we can do ourselves. In this period is what I have to do with some people that hurt me deeply. But I need to feel free of this negative feeling. To forgive can be very freeing but sometimes does not come easy. Thank you so so much Launna for your kind words. You have absolutely no idea how they lifted me up instantly!!! And I agree with you...on the trial after trial!! When we finally make a decision about something that the world says oh… are you sure… and then it starts throwing things at us…!! I Wish you a Lovely wed darling! Launna, I am sorry that you had to grow up with Ruth as a step mother... But I admire you for forgiving her and realising that she is the one with the issues not you, nothing you or your sisters could have done to make her a different person - she was like that by personal choice. I am a strong believer in prayer too and God always finds a way to help us through difficult times. As always I wish you only the best in life! But I really agree with the way you ended this post and I think it takes A LONG time to be able to admit that no body deserves more than anybody else. forgiveness is so hard, Launna! but you are making progress and that is awesome! Definitely! I was just teaching a lesson a week ago about facing trials and how when we stop asking, "Why me?" 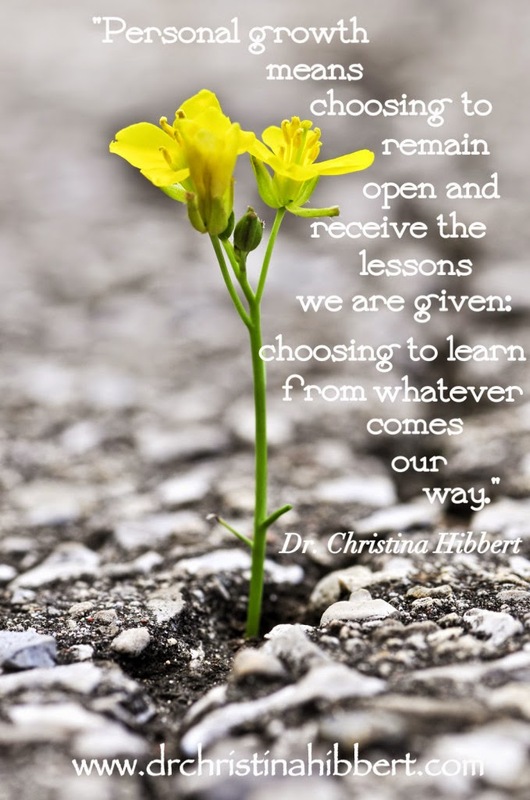 and start asking, "What can I learn from this experience?" it becomes an entirely different entity. Not a trial. I think forgiveness is the most noble and freeing thing in the world. Forgiveness is a great healer. Have a great day Launna! Forgiveness is definitely very freeing...I'm grappling lately with forgiving myself. I think any time you dwell in the past, you hurt yourself because there's nothing you can do about what's happened in the past. We have to find a way to let it go and move forward. Very powerful words. Your so right that forgiving others really allows us freedom to have peace. Love this post! Great post! So beautifully put! How freeing it is to have this perspective. Forgive others but also care enough about yourself to not let them hurt you again and again. That was a tough lesson for me to learn. I send you a big hug dear Lauanna, have you a sweet night, bye dear. A very beautiful post Luanna! Hi my sweet Launna. Thank you so much for your lovely comment as always. You're right the weather like this isn't going to make me feel better! I have to take medicine every day if I forgot and that means I'm in trouble and not good. I wish you a lovely sunshine going to your place and keep your rain boots next to you, you need that:). I'm off to bed. Oxoxo. Ciao Launna, Enjoy your weekend!!! Mi piace tanto leggerti, beautiful post, carissima Launna!!! Hi adorable, carissima Launna, amo i tuoi scritti. I'm so sorry to hear about your past Launna, this is a really different perspective and I totally appreciate you sharing this- I'm sure there are others out there feeling the same that feels alone and your post will help them! have a great weekend hun! Forgiving is powerful medicine. I can be hard to swallow. That's why some people never "take the cure." Lencinhos sempre são bem vindos, né?! Eu uso quase todos os dias! É difícil perdoar alguém, principalmente quando essa pessoa fez algum mal. Mas a verdade é que guardar rancores corroí o coração. Hi Launna. I just wanted to drop by and wish you a lovely weekend. i wish you a wonderful weekend sweety!!! Beautiful thoughts and so inspiring! Thank you. Launna, I can't even begin to express how so sorry I am about you having to go through all this. You didn't deserve a stepmother like that--nobody does. But what I find truly inspiring and awestruck is how you started praying for her. You are so beautiful and kind. It's true for me that when I forgive people, others think I'm weak, naive or that I'm just "asking to get hurt all over again." But I don't think of it that way. What good is hatred in our hearts going to do for us? Just because we forgive doesn't mean we're weak or submissive--it means that we are strong enough to let go of it all. I once found a quote that still sticks with me: "Anyone can hold a grudge, but it takes a person with character to forgive. When you forgive, you release yourself from a painful burden. Forgiveness doesn't mean what happened was OK, and it doesn't mean that person should still be welcome in your life. It just means you have made peace with the pain, and are ready to let it go." Forgiveness is one of the hardest things to do. But if we breathe, find peace in our hearts, and look at the world with a more positive, what-can-do-to-make-it-better kind of way, our lives will go better. I was always told that hatred consumes the heart, and I feel that is totally right. I don't want to be the person to hold grudges or seek vengeance in my heart. It doesn't benefit us; living in the past doesn't benefit us.